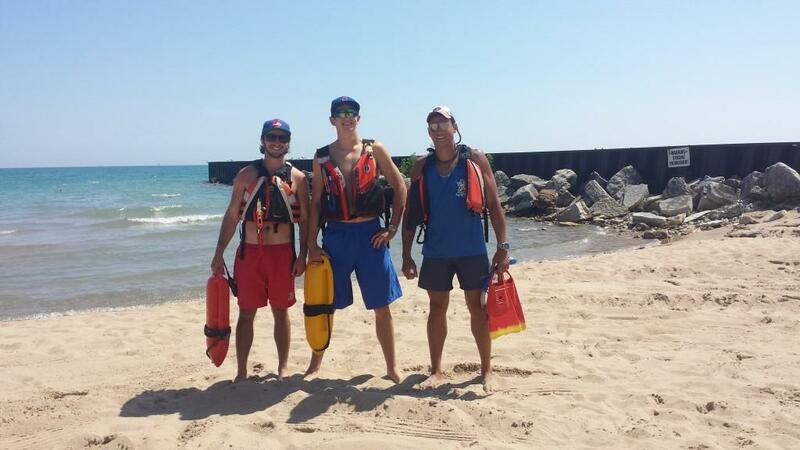 Evanston Mayor Elizabeth Tisdahl commended three lifeguards Monday for rescuing a man from a sunken boat. The man was left floating in Lake Michigan on the morning of July 2 after his boat sunk about a mile and a half offshore from the Northwestern campus. The Evanston Lakefront Lifeguard Rescue Team received mayday distress calls from the boater at about 9:30 a.m. but could barely hear him over his handheld waterproof radio because of the lake’s choppy waters. Byas, a lifeguard supervisor, said he communicated on land with the boater via radio while Killheffer and Altman searched for the man. Killheffer and Altman followed a trail of debris to locate the boater, who was floating in a life jacket. The man was returned safely to shore with no injuries. Tisdahl said it remains unknown why the man’s 50-foot boat sank and the incident is under investigation. The Coast Guard was unable to respond to the boater’s calls because his signal was not strong enough, Byas said. “That’s how we beat the Coast Guard out there,” he said with a laugh. Killheffer said the boater’s own safety precautions, including his lifejacket and radio, “saved himself” and made the rescue mission easier. “When it really comes down to it, we were just doing our jobs,” Killheffer said.